Recently, Cape Town in South Africa hosted one of its biggest events of the year: The Mining Indaba. With two heads of state, 35 government ministers, and the world’s biggest mining companies attending thousands of meetings, and securing millions of dollars’ worth of deals — this conference remains the leading deal-making forum for the mining sector. A couple of kilometres to the east, the industrial suburb of Woodstock hosted the Alternative Mining Indaba: a considerably less flashy congregation of community groups, church groups, and non-government organisations — including, of course, us, Transparency International (TI). So why is TI interested in this multi-billion dollar global industry? It will come as no surprise to most people that corruption affects the extractive industries. Where there’s smoke there’s fire — or in this case, where there’s money, lurks the risk of corrupt individuals abusing their entrusted power for private gain. Remarkably, a quarter of all corruption cases in the oil, gas and mining sectors arise at the very start of those extractive projects? 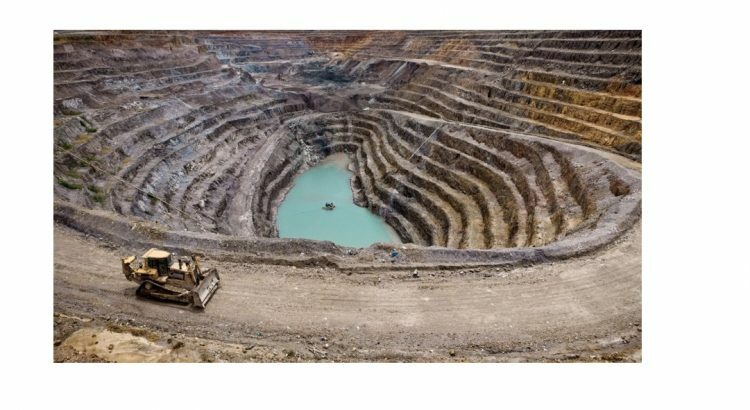 This startling fact motivates us — a network of 20 TI chapters working in some of the world’s most resource-rich countries — to take a closer look at the very start of the mining value-chain: the awarding of mining licences, permits and contracts. If we can improve the system and ensure mining projects are developed on clean, accountable and transparent foundations, then the rest of the mining project is more likely to be corruption-free. We need to tackle corruption in mining because when corruption compromises an industry as large, impactful and capital-intensive as the extractive industries, everyone loses. People stand to lose their share of their nation’s mineral wealth, the cohesion of their communities and the health of their environments. Governments stand to lose important sources of revenue for public services such as schools or hospitals, and politicians risk losing the trust and confidence of citizens. Companies also stand to lose the business certainty and community support they need to secure their operations. TI is working across our 20 country-strong network to shine a light on the often complex and obscure processes governing how mining licenses are granted. We are building coalitions against corruption across government, industry, civil society and community groups; and we are strengthening bonds across our anti-corruption networks to share information, tools and contacts. This is a type of corruption that is not often spoken about but has serious impacts on human rights. A key part of our work involves working with communities to enhance their access to information about mining projects, and to support them to know their rights and have their voices heard. Without transparency or access to this kind of information, communities cannot meaningfully participate in decisions that affect them. Worse still, they can be manipulated and taken advantage of. This is a type of corruption that is not often spoken about but has serious impacts on human rights. Nicole spoke at the Mining Indaba about the business imperative for building strong relationships with the communities living near mining projects. Community support matters, and companies must act responsibly if they are to build that trust. To learn more about TI’s work to improve transparency in mining, visit our website here. This community screening event — organised by a group of local women — was turning into something much more ambitious than expected. “Have you ever put on an event like this?” I checked, hopefully. “No nothing like this,” she said. “We want to get people talking together and thinking about the impacts of corruption on women here, and get them to commit to actions that will change this situation”. 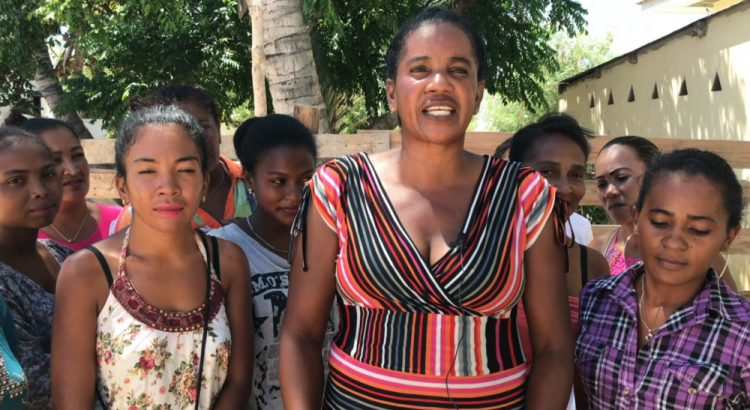 This was the culmination of a project in which 11 women from south west Madagascar created films highlighting injustices that deprive women of land. InsightShare had been training them to use a powerful communication tool to tackle endemic corruption and deeply ingrained cultural norms, that held that women should not own land. What if there was a tool that could help groups work together better to create change — whilst still having some fun? Perhaps it’s not fun all the time, but there can be great joy in the solidarity of struggling together to make a difference, and this tool does tend to generate a lot of laughter. And what if that tool could be used by literate or illiterate, educated or not, putting everyone on the same playing field? Wouldn’t it be great if that tool could be used to open ears and minds, to help other ordinary citizens, chiefs, business leaders and politicians move out of their bubbles and into the realities of those they rarely meet, let alone listen to? This creates a deeper understanding of issues and motivation to tackle them. These are some of the magic ingredients of the participatory video process. It is within all of our reach and looks very much like the smartphone in our pockets. Everybody has a video cameras these days, but crucially participatory video is about a collective process: working together to explore, prioritise and investigate community concerns, issues and experiences. Facilitators help the group to learn simple video-making skills through games and exercises. Participants work together to plan and produce their video collectively, screening-back regularly to their wider community to test ideas and refine messages. Participants own the video and control the content, allowing direct control over how they are represented. The resulting videos are used to communicate with chosen audiences, sharing stories, building a new image of what can be and working together with all key actors to make that happen. Participatory video is used around the world to empower communities and hold those in power accountable. Today, InsightShare and Transparency International launched a guidebook on how to plan, produce and create impact with participatory video. 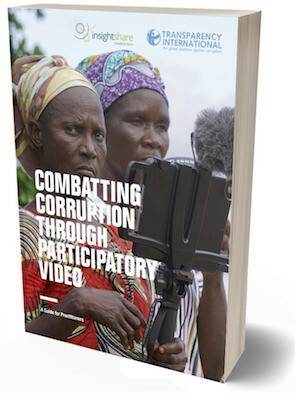 Combatting Corruption Through Participatory Video: A Guide for Practitioners is the result of 10 years of collaboration between the two organisations on projects with citizens worldwide, and it’s free to download now. The project in Madagascar was the final road test before launching the guide. The local team of trainees filmed over 120 stories of women who had experienced corruption or been victim of cultural practices that leave widows and divorcees destitute and put thousands of children at risk. Bénédicte was one of these women, and she shared her experience for the first time. The other trainees carried out a process of empathic listening combined with roleplay to help her bring her story into words. She described how her husband had paid corrupt officials to change the title deeds of their house and that one day she and her daughters came home to find a locked door and a bailiff telling them to leave. Bénédicte, together with her peers, decided scene by scene where they would shoot, what to say and who should be included in her film. At first Bénédicte was scared to share her message, but her confidence grew. Hundreds of people came to community screenings to watch her story and the testimonies of other local men and women. The local team then facilitated talking circles where everyone could share their perspective, their emotions and what actions they would take. The participatory video women’s group have all they need to carry on their work, screening the videos around the region, making new ones and gaining support from local judges, senators and prefects, as well as traditional leaders and chiefs. The winds of change are blowing in south west Madagascar and the work with participatory video is highlighting the role of corruption and harmful cultural practices in oppressing women’s rights. Participatory video enabled each group to investigate and document their issues. With this tool they can reach stakeholders and decision-makers, inform them and pressure them to be accountable. Download the guidebook — Combatting Corruption Through Participatory Video: a Guide for Practitioners. Seychelles scores 66 out of 100, to put it at the top of the region. Seychelles is followed by Botswana and Cabo Verde, with scores of 61 and 57 respectively. At the very bottom of the index for the seventh year in a row, Somalia scores 10 points, followed by South Sudan (13) to round out the lowest scores in the region. With a score of 19, Angola increased four points since 2015. President Joao Lourenco has been championing reforms and tackling corruption since he took office in 2017, firing over 60 government officials, including Isabel Dos Santos, the daughter of his predecessor, Eduardo Dos Santos. Recently, the former president’s son, Jose Filomeno dos Santos, was charged with making a fraudulent US$500 million transaction from Angola’s sovereign wealth fund. However, the problem of corruption in Angolan goes far beyond the dos Santos family. It is very important that the current leadership shows consistency in the fight against corruption in Angola. 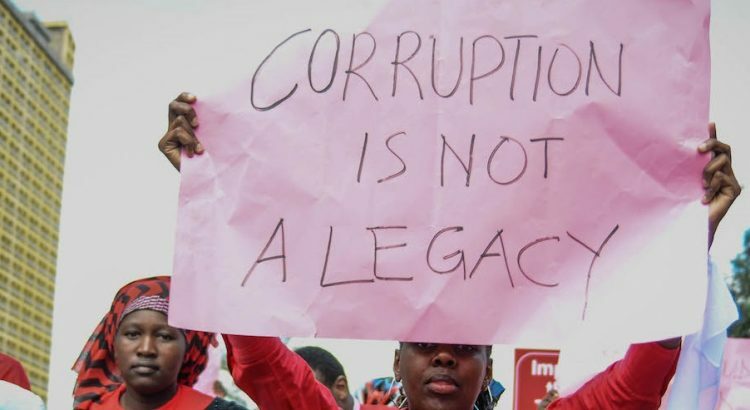 In addition to improved access to information, which is critical to the fight against corruption, government officials in Kenya and South Africa are also reaching to social media to engage with the public. Corruption Watch, our chapter in South Africa, has seen a rise in the number of people reporting corruption on Facebook and WhatsApp. However, it remains to be seen whether social media and other new technologies will spur those in power into action. Demonstrate visible commitment to anti-corruption from political leaders, notably in Burundi, Congo and Mozambique. 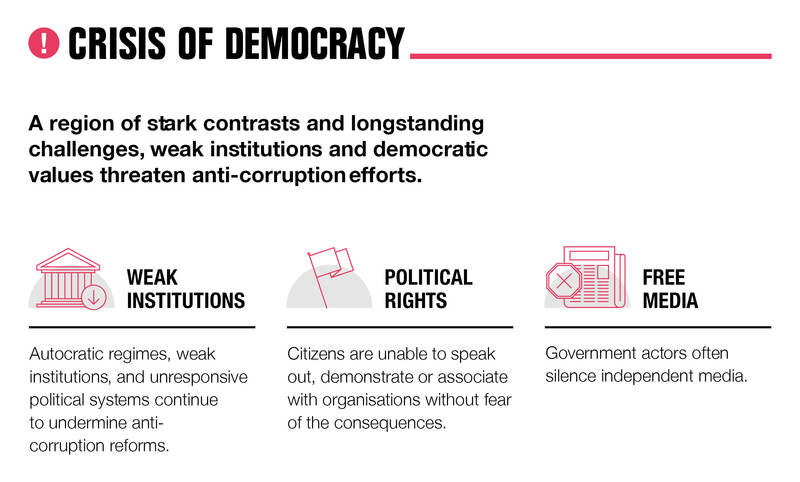 Protect human rights defenders, political analysts, anti-corruption activists and investigative journalists and enable them to speak out on corruption issues. Improve the health of democratic institutions. This includes supporting participation, transparency and trust, along with necessary checks and balances. 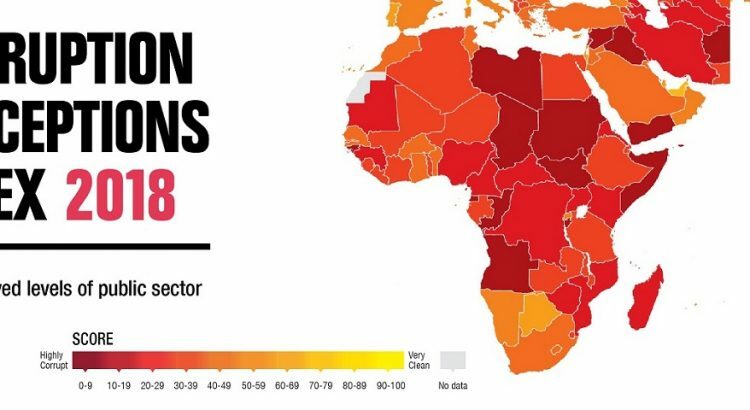 The 2018 Corruption Perceptions Index (CPI) released in January 2018 by Transparency International reveals that the continued failure of most countries to significantly control corruption is contributing to a crisis of democracy around the world. “With many democratic institutions under threat across the globe – often by leaders with authoritarian or populist tendencies – we need to do more to strengthen checks and balances and protect citizens’ rights,” said Patricia Moreira, Managing Director of Transparency International. More than two-thirds of countries score below 50, with an average score of only 43. Since 2012, only 20 countries have significantly improved their scores, including Estonia and Côte D’Ivoire, and 16 have significantly declined, including, Australia, Chile and Malta. Denmark and New Zealand top the Index with 88 and 87 points, respectively. Somalia, South Sudan, and Syria are at the bottom of the index, with 10, 13 and 13 points, respectively. 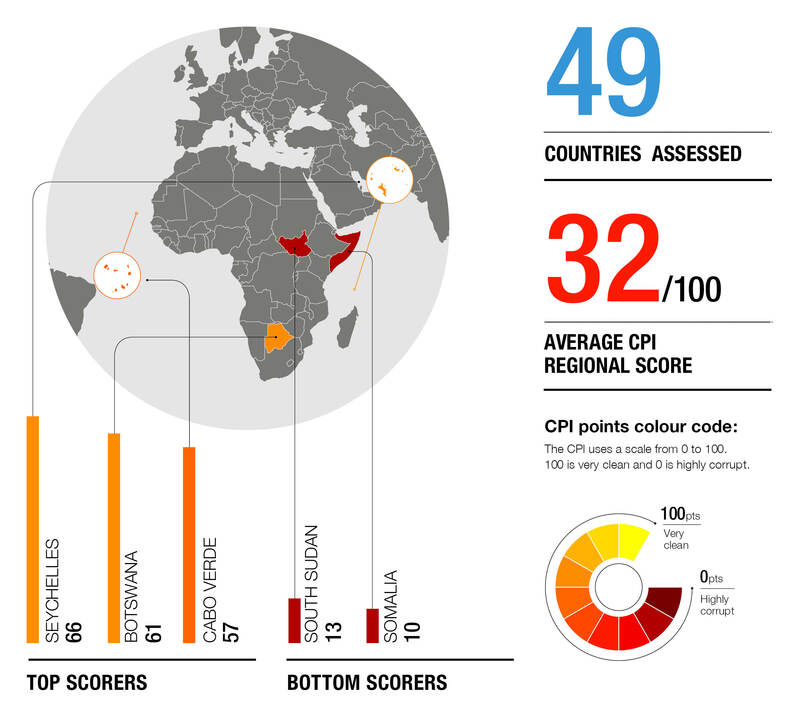 The highest scoring region is Western Europe and the European Union, with an average score of 66, while the lowest scoring regions are Sub-Saharan Africa (average score 32) and Eastern Europe and Central Asia (average score 35). ‘not free’, while Hungary registered its lowest score for political rights since the fall of communism in 1989. These ratings reflect the deterioration of rule of law and democratic institutions, as well as a rapidly shrinking space for civil society and independent media, in those countries. More generally, countries with high levels of corruption can be dangerous places for political opponents. Practically all of the countries where political killings are ordered or condoned by the government are rated as highly corrupt on the CPI. With a score of 71, the United States lost four points since last year, dropping out of the top 20 countries on the CPI for the first time since 2011. The low score comes at a time when the US is experiencing threats to its system of checks and balances as well as an erosion of ethical norms at the highest levels of power. Brazil dropped two points since last year to 35, also earning its lowest CPI score in seven years. • support a free and independent media, and ensure the safety of journalists and their ability to work without intimidation or harassment. Kenya is often lauded for promulgating one of the world’s most liberal constitutions. Passed on August 27, 2010, it radically devolves power to county governments, ensures the separation of powers, and entrenches a progressive bill of rights. This would have been impossible without the work of robust, courageous, and independent civil society organizations (CSOs). Civic actors first laid down their recommendations for constitutional reform in the document “Kenya Tuitakayo” (The Kenya We Want), which became a crucial resource for the Constitution of Kenya Review Commission. After former president Daniel Arap Moi asked at a public rally what “Wanjiku”—a common name, meant to refer to ordinary Kenyans—could possibly know about constitution-making, civil society appropriated the term, popularized it, and turned it into an organizing symbol for the constitutional reform process. 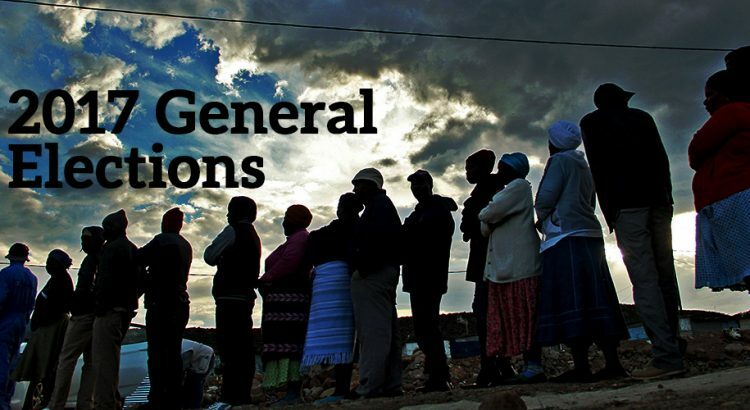 Throughout the 1990s and 2000s, the legitimacy of Kenya’s civil society stemmed from its engagement with key issues that all citizens cared about. Following the liberalization of political space, CSOs undertook extensive civic education on basic rights and how public sector corruption affects citizens’ access to health, food, shelter, and education. They provided a link between citizens’ daily lives and the people who occupied leadership positions in government. Faith-based organizations offered sanctuary to those targeted by the state and used their platforms to speak about the need for political change. Yet over the past ten years, the political climate has changed. A number of politicians have publicly questioned the legitimacy of CSOs, especially those engaged in governance and human rights. Some have referred to civil society as “evil society,” a label used to rationalize new restrictions on civic space. These attacks have their roots in the 2007–2008 electoral crisis. In the aftermath of the violence, CSOs worked closely with public institutions and international agencies to collect evidence against those suspected of having orchestrated unrest. When the International Criminal Court (ICC) indicted several senior political leaders, the latter used ethnic identity and nationalism to mobilize their followers to fight back. State functionaries accused CSOs of working with foreigners to undermine the sovereignty of the nation. Although the ICC later dropped the cases, the “foreign agent” label stuck. It has undermined CSOs’ relationship with the wider population and weakened their claims to legitimacy. Political elites’ incessant instrumentalization of ethnic identity has further exacerbated the problem. They have tried to paint civil society as ethnically biased in order to erode public trust in their positions. As a result, it has become harder for civic actors carry out their work. Kenyan CSOs also have been tainted by the perception that they are partisan political actors. This perception is particularly damaging in a context of high ethnic polarization where oversight institutions are weak. During the 2013 and 2017 presidential elections, the incumbent government accused some civil society actors of siding with particular opposition candidates and political parties. This perception stemmed from the fact that parts of civil society voiced their opposition to politicians who had previously been indicted for crimes against humanity by the ICC and who were viewed as intolerant to the civil liberties enshrined in the constitution. Perceptions of partisanship have not only alienated some civil society stakeholders but also fostered ideological divisions within civil society. Of particular concern, for example, are tensions over electoral justice between development and peace-building groups on the one hand and human rights organizations on the other. Whereas the latter emphasize that electoral justice is essential for sustainable peace, the former have argued that in a highly polarized nation like Kenya, electoral justice can only be realized in a stable, calm, and nonviolent atmosphere. The fact that some human rights actors have used labels such as “peace-preneurs” to categorize organizations working to prevent election-related violence does not help build the legitimacy of the sector. Instead, divisions among CSOs only serve as fodder for attacks by the political elite. In the current hostile political context, public officials have also exploited administrative rules to crack down on civil society. As a result, it has also become crucial for all organizations to ensure they are properly registered and meet all statutory requirements. In August 2017, for example, the NGO Coordination Board set out to deregister the Kenya Human Rights Commission. It also instructed the Directorate of Criminal Investigations to shut down the operations of the African Centre for Open Governance (Africog) for allegedly operating without a registration certificate. Individuals from the Kenya Revenue Authority raided Africog’s offices over clams of tax noncompliance. Although these allegations were later debunked through the judicial process, it is noteworthy that the state had launched the attack based on alleged noncompliance with legal and regulatory processes. Kenya has hundreds of community-based organizations that generally are viewed as highly legitimate because they are known by their immediate constituencies, from the household to the village. They speak the language of their communities and undertake activities viewed as local priorities. These organizations can easily lose their legitimacy if they are no longer viewed as accountable and transparent in their work. Kenyan CSOs face a delicate balancing act as they try to build legitimacy while facing continuous attacks by the state. To survive, they should continue to demand accountability in the use of public resources by leaders and public officials. Internally, they ought to build governance and monitoring and evaluation systems that enhance their transparency and advance their mission. They also have to engage with the issues that directly affect their constituencies. When the state seeks to limit civic space, our stakeholders in the communities we serve ought to be our first line of defense. Kimani Njogu is the director of Twaweza Communications (Nairobi), an arts, culture, and media institution committed to freedom of expression. Dr. Kimani is Chair of the Board of Trustees at the Legal Resources Foundation Trust and Content-Development Intellectual Property (CODE-IP) Trust. He is a recipient of the Ford Foundation Champion of Democracy Award and the Pan-African NOMA Award for Publishing in Africa. With the proliferation of donor-funded accountability programmes, including in authoritarian settings, are we in danger of mistaking the means for the end? Do accountability tools such as community scorecards, workshops and roundtables, or participatory budgeting provide a convenient “citizen engagement” gloss without seriously probing uneven distribution of power or the stifling of marginalised groups? It may seem unusual to talk about accountability and authoritarianism in the same breath. And yet multilateral and bilateral donors invest enormous amounts of funding into implementing accountability programmes in authoritarian contexts. Given that accountability is still important in donor circles, this is unlikely to change any time soon. The implementation of accountability-promoting programmes in authoritarian contexts is informed by a number of assumptions about how change happens, assumptions very similar to those that informed advocacy promotion initiatives of the 1990s and early 2000s. The absence of these conditions, or, uncertainty over how they will develop due to high levels of unpredictability, leads to a wide array of relationships that allow for the co-existence of authoritarian rule alongside accountability initiatives. It is probably best to think of them as a spectrum of possible power configurations, that extend from one extreme with authoritarian accountability, to the other with accountable authoritarianism. Neither, however, are absolute and both shift temporally and spatially as opposed to being binary. What exactly is Authoritarian Accountability? At one extreme end of the continuum is when authoritarian systems of governance are kept intact or even strengthened by being associated with Western-style accountability programmes. When it comes to identifying their impact, this phenomenon very much resembles the democratisation programmes being implemented in authoritarian settings during the 1990s and early 2000s, which Steven Heydemann has described as “upgrading authoritarianism”. Although the case studies he presents are from the Arab world, they are easily applicable to other contexts where authorities are able to effectively accommodate the introduction of measures that give a semblance of tolerating non-state political contestation but in a deeply controlled manner so that they do not pose a threat to the status quo. Accountability programmes that function in authoritarian contexts without disturbing the status quo in substantial or even marginal ways initially generate win-win situations for donors and governments alike: the former can tick the ‘doing accountability’ box, and the latter can project an image of good relations between the governed and the governing. school council meetings involving parents asking for improved educational services, etc. These measures in and of themselves can be highly participatory and may sometimes even give access to officials that would otherwise not be possible. The problem is, however, they have no teeth because they are undertaken in a very controlled manner and have no roots in the community. A given regime gains facade of accountability – but little more. In essence such programmes can be interesting exercises in the application of accountability tools on the ground, which if we acknowledge them as such, at least we are realistic about the limits of donor-induced authoritarian accountability. The tragedy is that they are celebrated, lauded, and applauded as if they are genuine expressions of citizen power. And what about Accountable Authoritarianism? At the other end of the spectrum is accountable authoritarianism – when pockets of people or sub-sections within the governance system become responsive to citizen-led demands. Authorities may not admit to it and their responsiveness doesn’t drastically shake up the status quo. If the problem with authoritarian accountability discussed above is that it’s an apolitical, technical fix, the problem with accountable authoritarianism is that it does not fit the critics’ conceptual framing of what kind of effect qualifies as an accountability outcome. In some respects, perhaps they are right. In some contexts where space is so deeply circumscribed, accountability, understood through in the traditional meaning of answerability and sanctions-enforcement, is not going to happen except rarely and on a limited scale, unless there is regime overthrow. But the tragedy is that this results in accountability struggles being overlooked because we forget that they are operating in contexts where democratic prerequisites, such as enforcement of rule of law, fair process, freedom of expression, freedom of association, etc., are missing. In fact, there are many accountability struggles occurring in highly authoritarian contexts: how they have framed the issue, their pathways and the kind of power configurations they have shifted have often been nothing short of ingenious. Take, for example, women and men mobilising in a highly authoritarian context to institutionalise an anti-sexual harassment policy by establishing a unit to respond to violations on a university campus which liaises with police and ensures justice is served. The fact that they are able to make elements of authoritarian systems carve out pathways through which claims-making and redress are possible is highly significant. And it makes authoritarianism accountable in some small way. These initiatives may not shout “accountability” to an audience acquainted with jargon and recognisable tools/methods (as described above). Instead, they are locally–led, non-projectised and premised on working with the grain of changing political opportunities of influence. And above, all, the key difference with accountable authoritarianism, is that shifts in power do occur, even if these are temporally and spatially limited. Authoritarian Accountability and Accountable Authoritarianism: two sides of the same coin? Some would argue that whichever way you look at it, accountable authoritarianism or authoritarian accountability, the hazards are the same: the appropriation by repressive regimes of accountability initiatives to enhance their external (or even internal) image of tolerance and reasonableness. For example, in Mubarak’s Egypt, well-intentioned multilateral agencies such as the UNDP sought to foster a culture of respect for human rights among security personnel by inviting them to capacity building workshops with human rights organisations. Ultimately the programme had the unintended outcome of extending security personnel’s outreach within the human rights sector. Perhaps another way to describe authoritarian accountability is as “Accountability-lite”. It manifests itself as externally-funded, technical fix-its which are far different from accountability struggles that go some way to making their authoritarian regimes a little more accountable. The former may not endure because the face-lift it gives to authoritarianism is so contingent upon external drivers in projectivised forms. The latter are part of people’s struggles to find spaces and niches in which they can extract some accountability while at the same time knowing that the “redlines” of what is politically permissible are changing and unpredictable, and require constant adaptation. 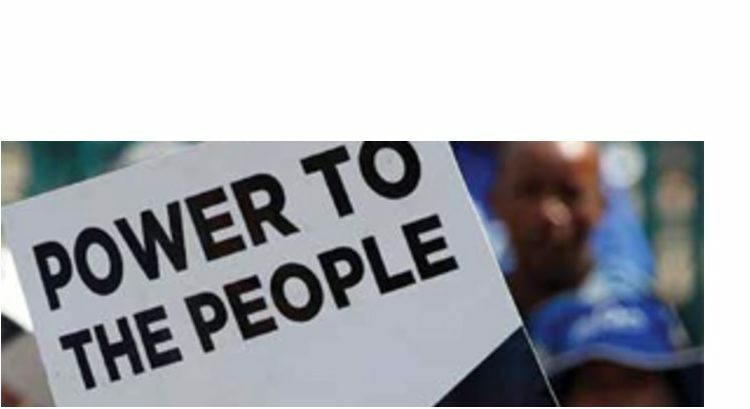 In the Action for Empowerment and Accountability programme (A4EA) we continue to explore the tensions and complexities of how accountability “sits” with authoritarian and highly unpredictable systems of governance. Across very different contexts (Pakistan, Mozambique, Nigeria, Egypt and Myanmar), we at least know that we need to avoid two extremities: overlooking the dangers of donor-led authoritarian accountability programmes that give window-dressing impressions of citizen contestation and under-estimating the potential for power shifts occurring on the margins of the governance systems which go some way to making authoritarianism a little more accountable. Along the spectrum of different configurations of how authoritarianism and accountability sit together, there will always be many unintended outcomes and ripple effects of both positive and negative kinds, as will be discussed in a forthcoming blog. Over the past two years, the trustworthiness of political institutions across the globe have generally taken a hiding. This is best illustrated by the rise in populist leaders across Europe and the USA, many riding the wave of increased anti-establishment sentiment (alongside anti-immigrant nationalism). Domestically, the South African polity continues to be plagued by multiple divisions: i) structural exclusion that still correlates with apartheid boundaries, ii) vast disparities in income and wealth between different class and racial groupings, iii) perpetual incidences of racist and xenophobic confrontations (and the persistence of their underlying sentiments), iv) high levels of civil unrest and demands for increased resource allocation in a stagnating macro-economic environment, and v) large sections of the governing executive and public institutions that stand accused of large-scale, systemic nepotism, corruption and being ‘captured’ by private interests. Not only does this sketch a society and social groupings that are divided amongst themselves, but it also highlights the lack of trust in a central authority that can act as a unifying, progressive and developmental force. Supposedly, this central authority should be the state envisioned in all of the country’s key legislative- and policy literature, from the Constitution to the National Development Plan. In a society with such a divisive history, the post-1994 government’s role in state- and nation-building was always going to be crucial to its cohesion and sustainability. Indeed, the post-apartheid government has made significant strides on both aspects, especially in terms of nation-building. Every iteration of the IJR’s South African Reconciliation Barometer (SARB) survey has shown that the vast majority of citizens from diverse class and race backgrounds buy into the desirability and possibility of creating one, united South African nation. This is no trivial feat for a collective that was arbitrarily grouped by colonial boundaries and that shares a subsequent history of conquest, violent oppression and resistance. However, recent institutional failures are disconcerting. Indeed, some argue that the success of nation building project itself is inextricably linked to progress in the building capable state institutions. Service delivery has been a long-standing challenge for a post-apartheid government in the process of building capacity with limited resources. However, more recently service delivery frustrations have increasingly been exacerbated by perceptions of large-scale corruption. Too many public institutions, especially those crucial to economic development (like the state-owned enterprises), have been hollowed out by narrow private interests. In tragic irony, this has occurred under the very pretence of ‘pro-poor’ economic transformation under the guidance of a supposedly ‘developmental state’. *Trust on provincial government data available up to 2013. Commensurately, confidence in political institutions have declined significantly in recent years. The table compares the high point of institutional trust in 2006 (when the country’s GDP growth also peaked at 5.6% per year), to the record lows recorded in the latest SARB survey in 2015. It highlights the increased proportion of South Africans that indicate that have no trust at all in key governance institutions. 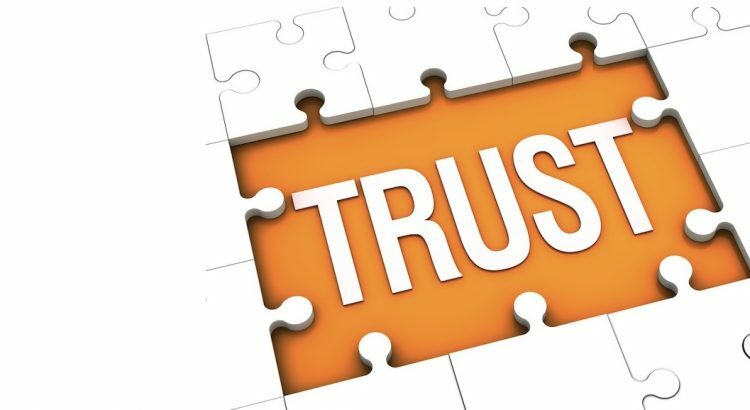 The decline in trust is also not limited to certain institutions, but affects all branches of government (the executive, legislature and judiciary). The political system as a whole thus increasingly suffers from a trust deficit. the extent to which they have a widely trusted and efficient central mechanism (i.e. the state apparatus) by which to do so. Therefore, if the state is not trusted, it cannot address these inequities- leaving a sense of injustice and uncertainty to fester within society. Second, a term pervasive in South African policy- and economic development literature is that of the “social compact”. It implies a developmental consensus between the major societal stakeholders (business, government, labour and civil society). Such a developmental consensus is required to provide the basis for the durable institutions and policy certainty that would foster inclusive economic growth. Again, the central agent in driving such a developmental consensus must be a widely trusted and capable state. A trusted state is required to bring together these diverse societal stakeholders, provide leadership and ameliorate differences between them, as to produce coherent policy measures. Widespread buy-in, in turn, is required for policies to be implemented. In short, South Africa’s immediate development path remains uncertain as long the state suffers from a trust deficit amongst the society over which it governs. Measures to address perceived corruption should go a long way to reconciling state-society relations in the short run. Longer term social stability and inclusive development requires something more, however. A sustainable and inclusive long run growth path requires a capable and committed state that enjoys the confidence of its society. Tiaan Meiring is the Project Officer for the Inclusive Economies project at the IJR. Many anticorruption advocates are excited about the prospects that “big data” will help detect and deter graft and other forms of malfeasance. As part of a project in this vein, titled Curbing Corruption in Development Aid-Funded Procurement, Mihály Fazekas, Olli Hellmann, and I have collected contract-level data on how aid money from three major donors is spent through national procurement systems; our dataset comprises more than half a million contracts and stretching back almost 20 years. But good data alone isn’t enough. To be useful, there must be a group of interested and informed users, who have both the tools and the skills to analyse the data to uncover misconduct, and then lobby governments and donors to listen to and act on the findings. The analysis of big datasets to find evidence of corruption – for example, the method developed by Mihály Fazekas to identify “red flags” of corruption risks in procurement contract data—requires statistical skills and software, both of which are in short supply in many parts of the developing world, such as sub-Saharan Africa. Yet some ambitious recent initiatives are trying to address this problem. Lately I’ve had the privilege to be involved in one such initiative, led by Oxford mathematician Balázs Szendrői, that helps empower a group of young African mathematicians to analyse “big data” on public corruption. The first step in this project was to develop software; this may seem trivial, but many cash-strapped African universities simply don’t have the resources to purchase the latest statistical software packages. The African Maths Initiative (AMI), a Kenyan NGO that works to create a stronger mathematical community and culture of mathematics across Africa, has helped to solve this problem by developing a new open-source program, R-Instat (which builds on the popular but difficult-to-learn statistics package R), funded through crowd-sourcing. Still in development, it is on track for launch in July this year. AMI has also helped develop a menu on R-Instat that can be used specifically for analysing procurement data and identifying corruption risk indicators. Once we’ve got the data and the software to analyze it, the third and most crucial ingredient are the people. For “big data” to be useful as an anticorruption tool, we need to bring together two groups: people who understand how to analyze data, and people who understand how procurement systems can be manipulated to corrupt ends. Communication between the two is essential. So last month I tried to do my part by visiting AIMS Tanzania, an institute that offers a one-year high-level Master’s programme to some of Africa’s best math students, to help conduct a one-day workshop. After a preliminary session in which we discussed the ways in which the procurement process can be corrupted, and how that might manifest in certain red flags (such as single-bidder contracts), the students had the opportunity to use the R-Instat software to analyse the aid-funded procurement dataset that my colleagues and I had created. Students formed teams and developed their own research questions that they attempted to answer by using R-Instat to run analyses on the data. Even the simplest analyses revealed interesting patterns. Why did one country’s receipts from the World Bank drop off a cliff one year and never recover? Discussion revealed a few possible reasons: Perhaps a change of government led donors to change policy, or the country reached a stage of development where it no longer qualified for aid? Students became excited as they realized how statistical methods could be applied to identify, understand and solve real-world problems. Some teams came up with really provocative questions, such as the group who wanted to know whether Francophone or Anglophone countries were more vulnerable to corruption risks. Their initial analysis revealed that contracting in the Francophone countries was more associated with red flags. They developed the analysis to include a wider selection of countries, and maintained broadly similar results. Another group found that one-quarter of contracts in the education sector in one country had been won by just one company, and more than half of contracts by value in this sector had been won by three companies, all of which had suspiciously similar names. Again, there might be perfectly innocent reasons for this, but in just a couple of hours, we had a set of preliminary results that certainly warrant further analysis. Imagine what we might find with a little more time! 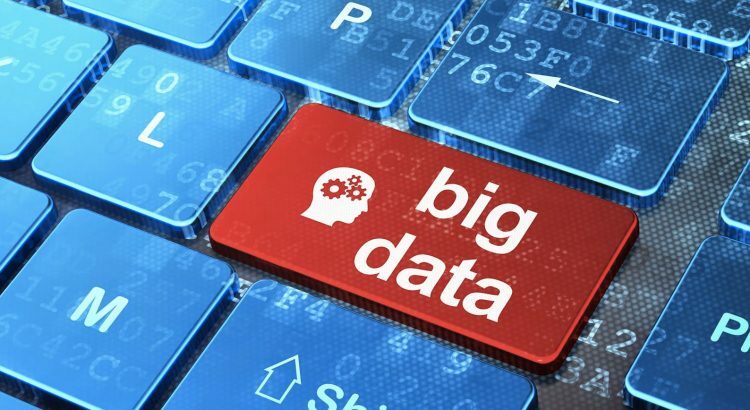 It is programs like these, that develop the tools and cultivate the skills in the next generation of analysts, that will determine whether the promise of “big data” as an anticorruption tool will be realized in the developing world.